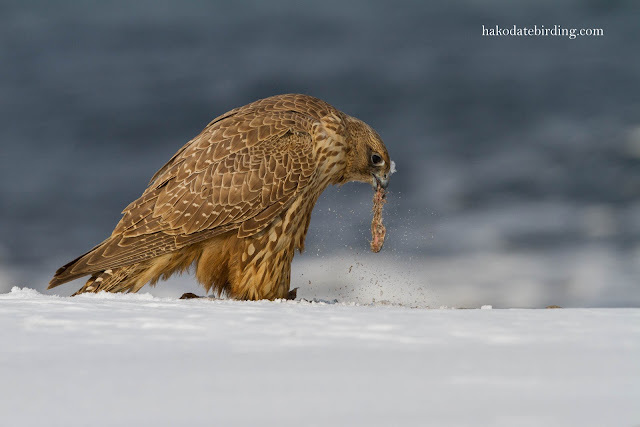 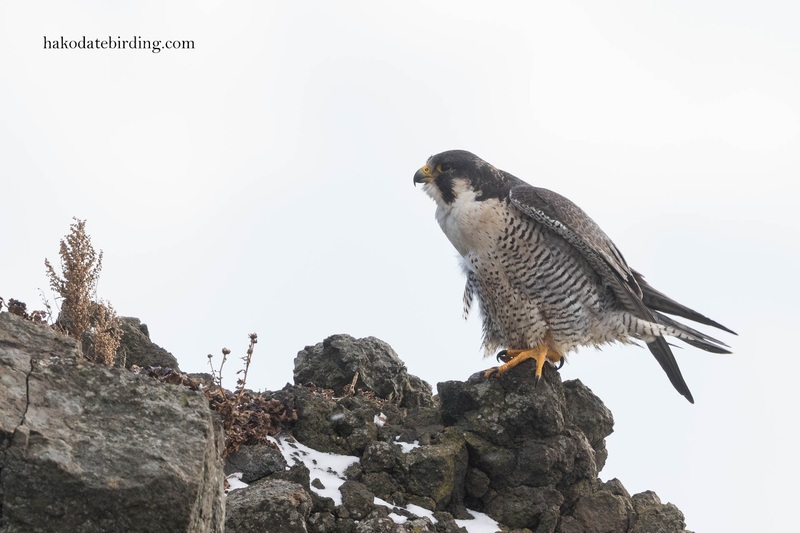 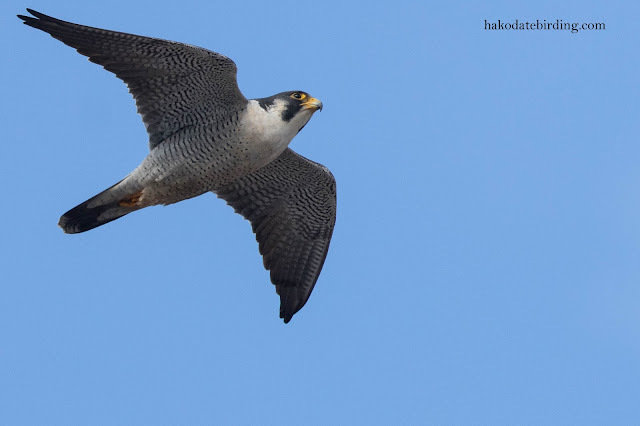 The overwintering Gyrfalcon at Sawara 3 years ago today. 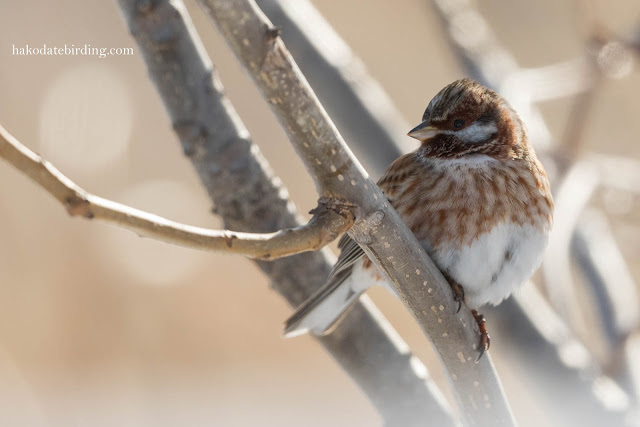 A male Pine Bunting 2 years ago today on the coast near Mori. 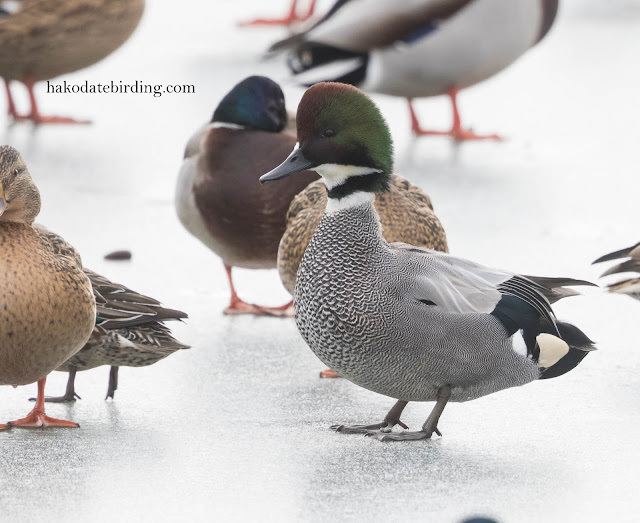 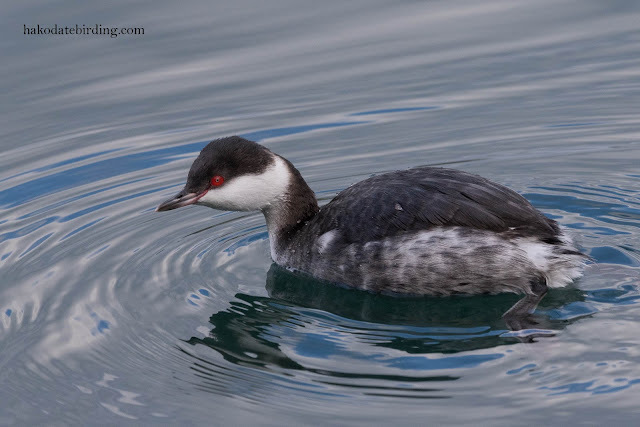 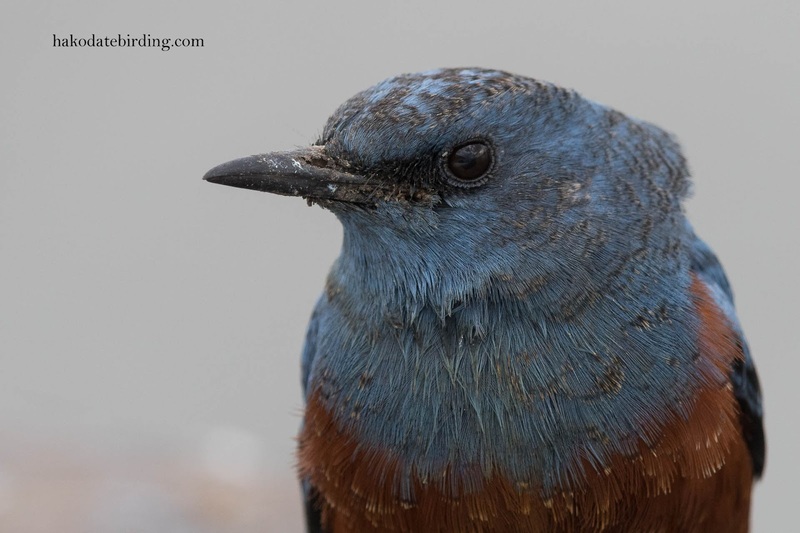 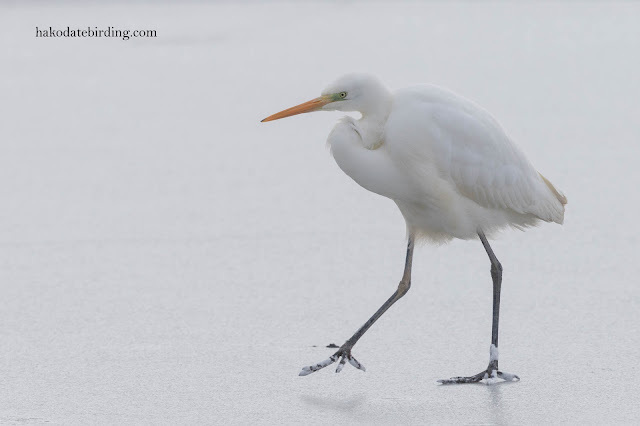 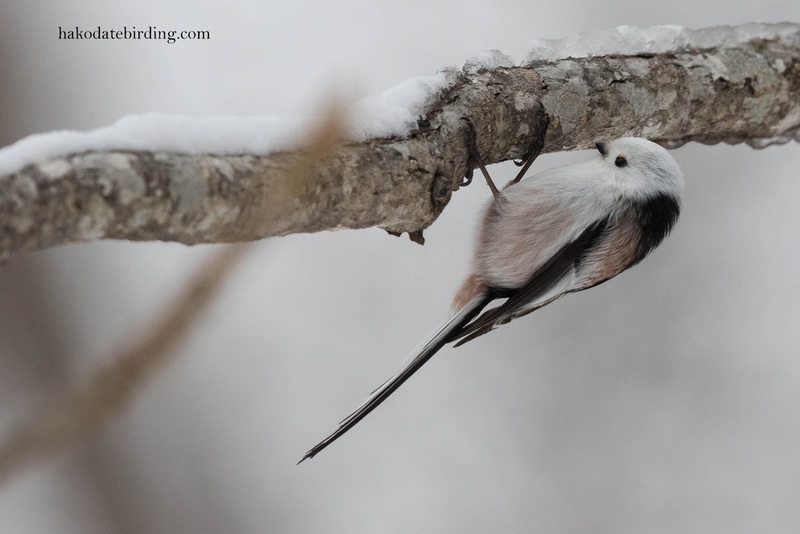 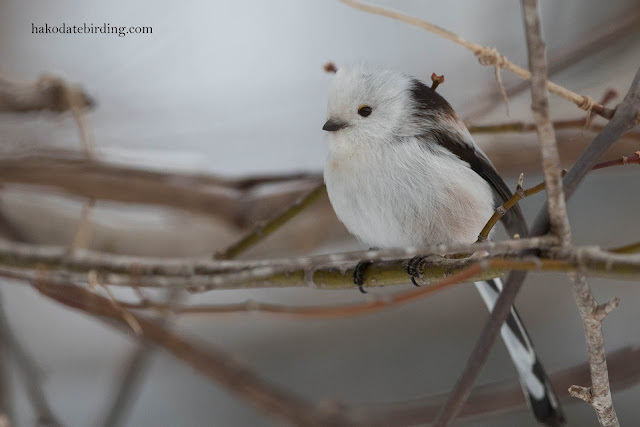 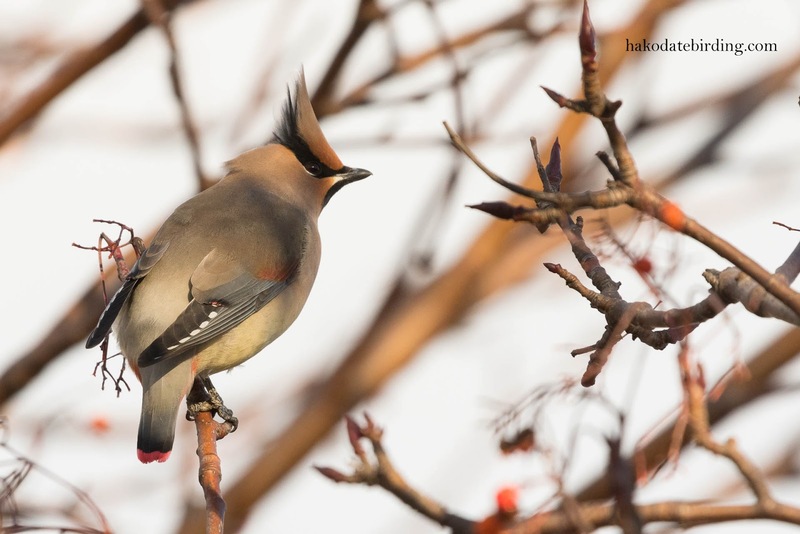 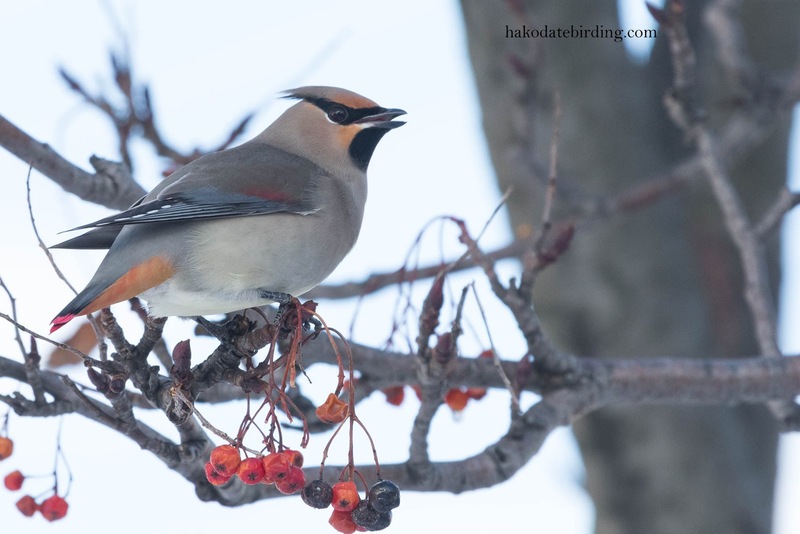 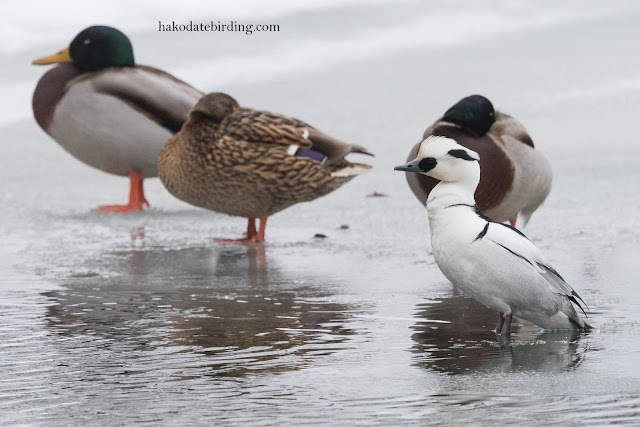 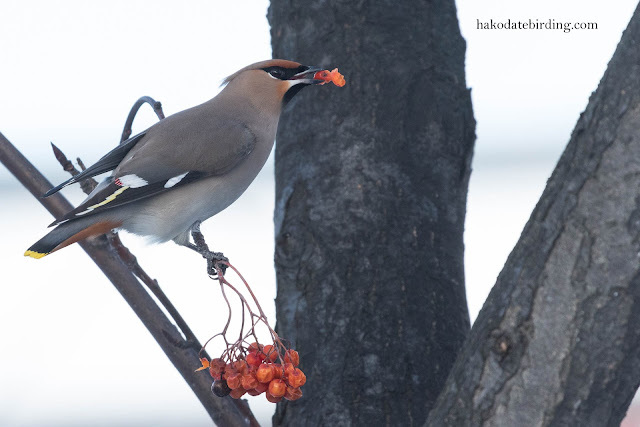 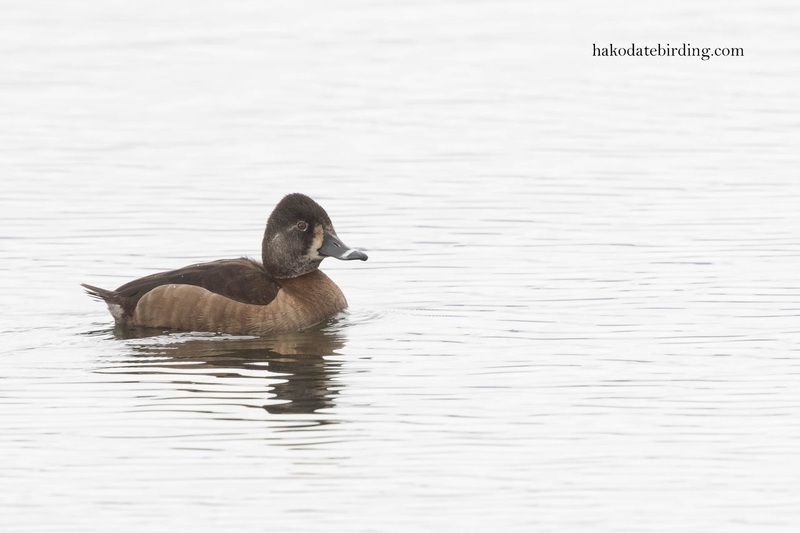 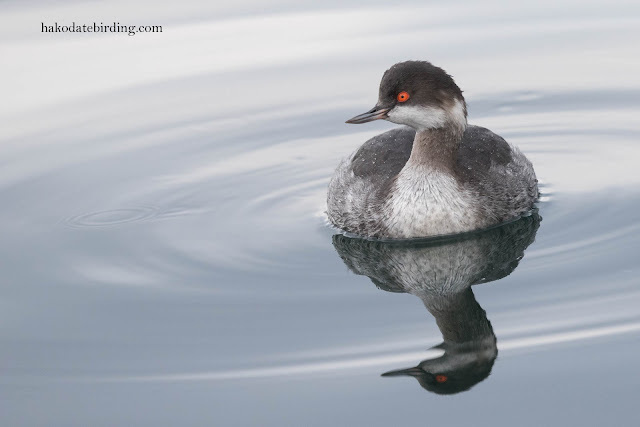 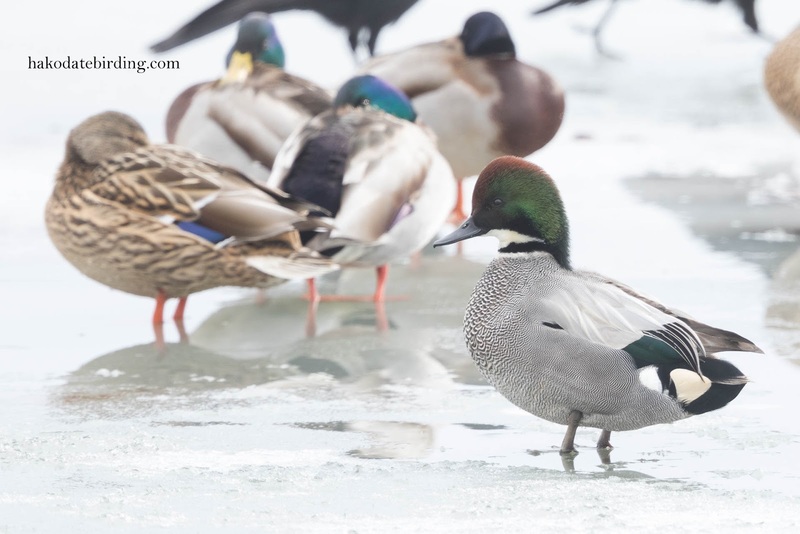 After 3 or 4 days of heavy snow and real winter weather at last we headed to Onuma on Sunday to see if the Ring-necked Duck and/or Baikal Teal were still present. 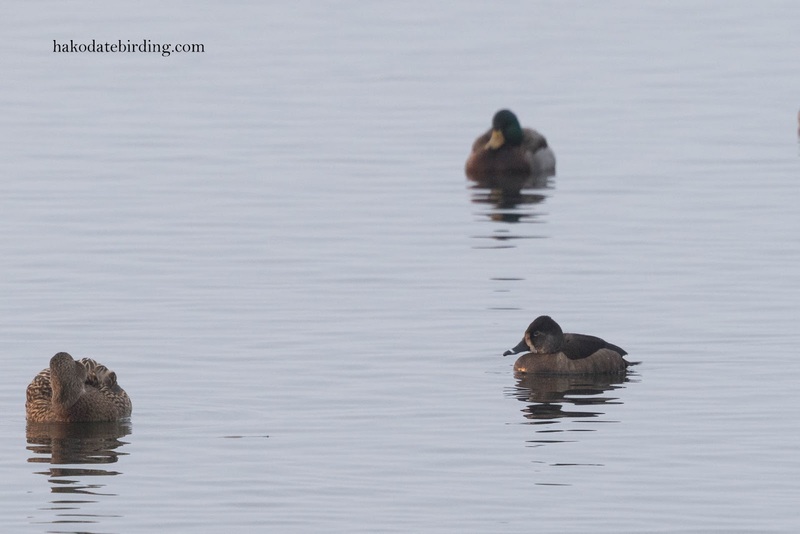 They weren't unfortunately but I did see 3 Falcated Teal.................not as rare as the others but still fairly exotic. 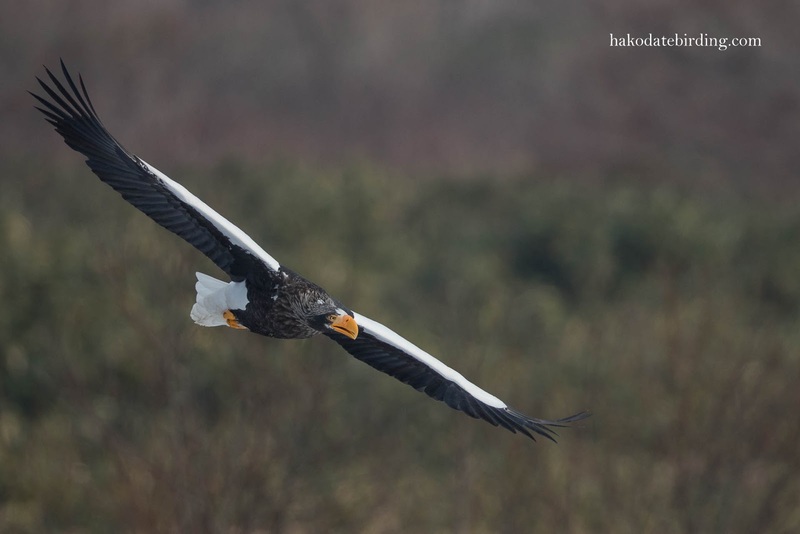 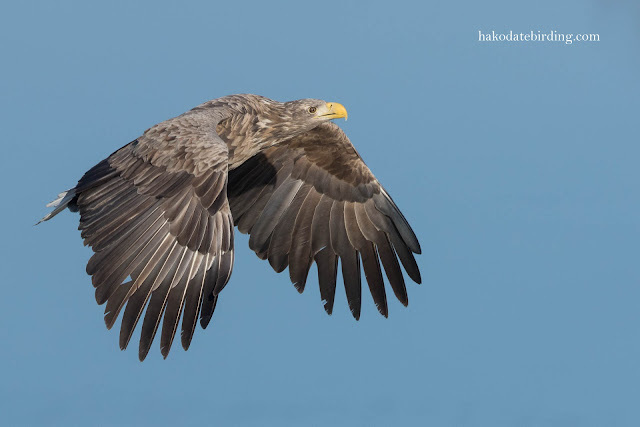 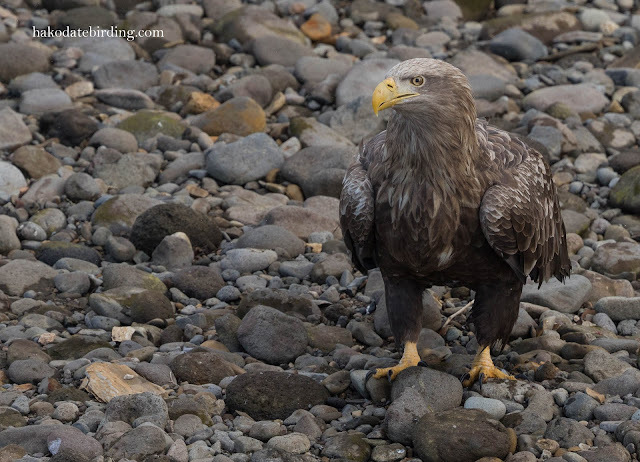 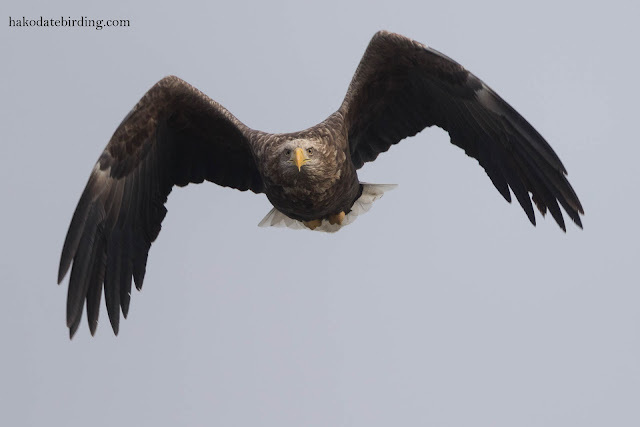 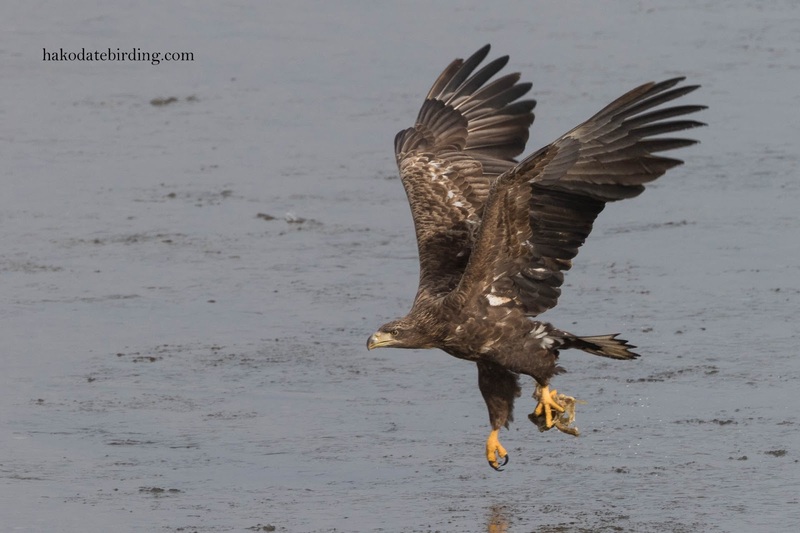 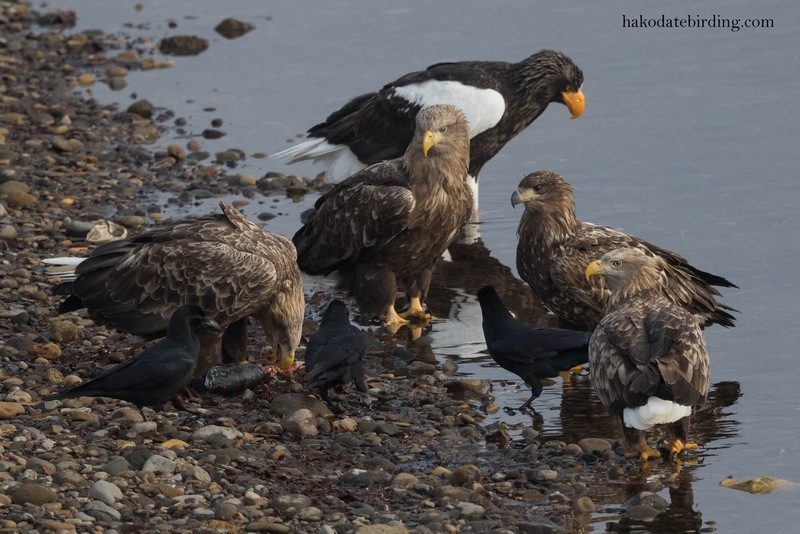 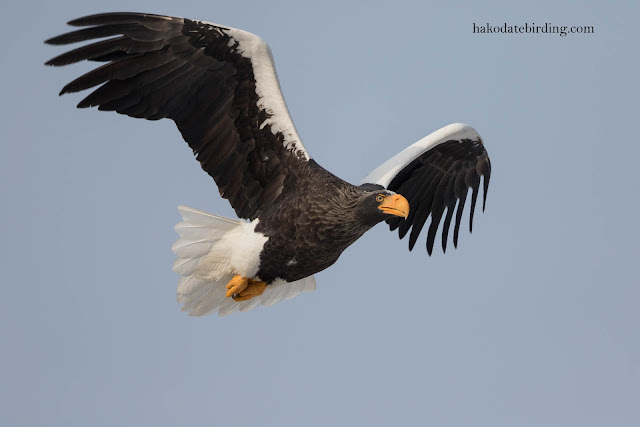 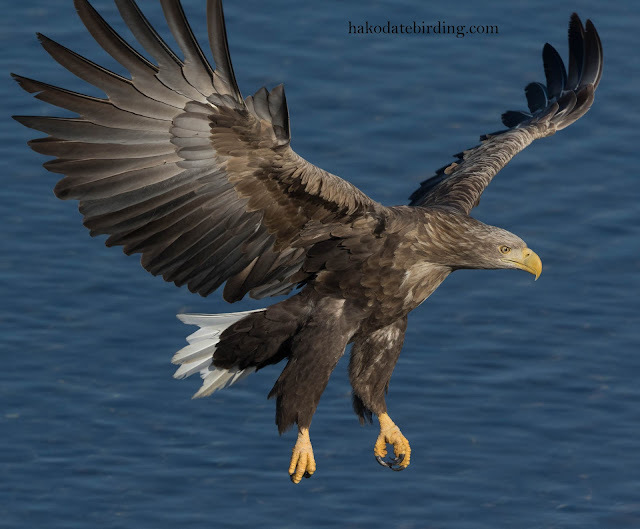 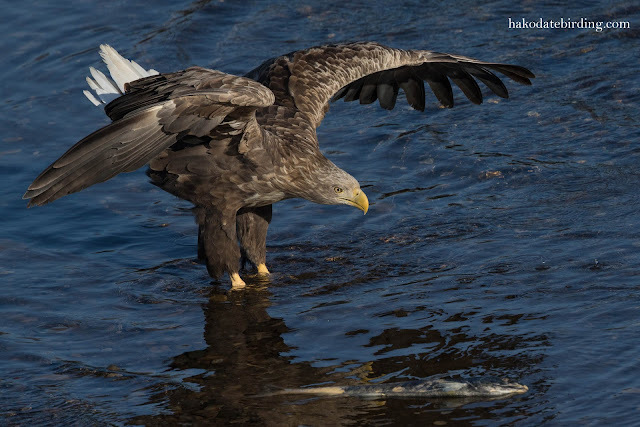 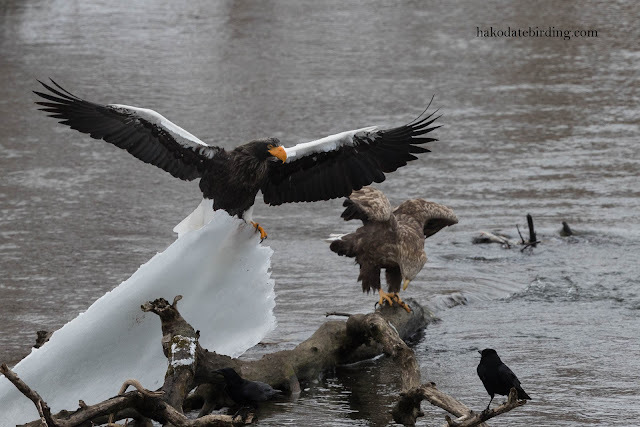 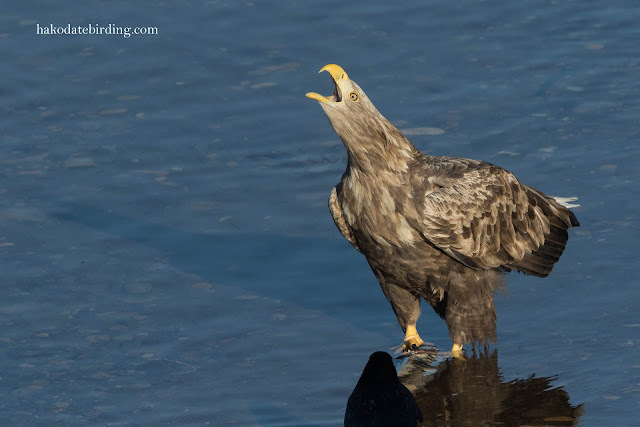 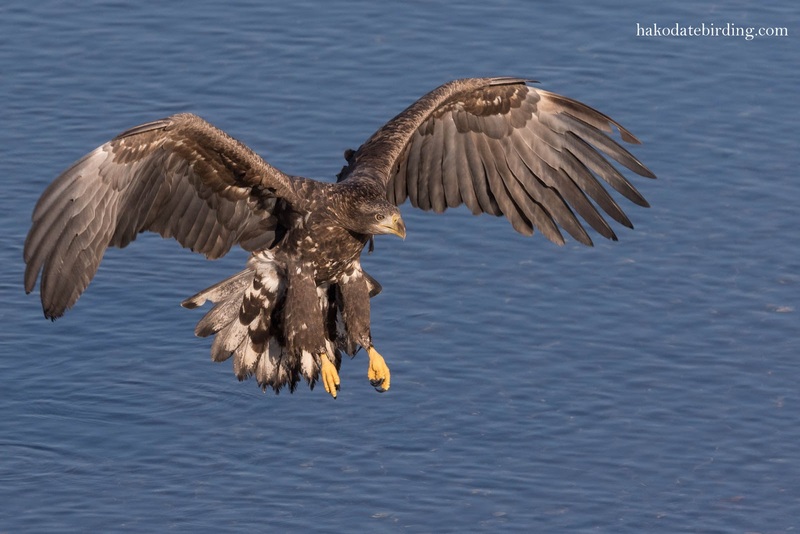 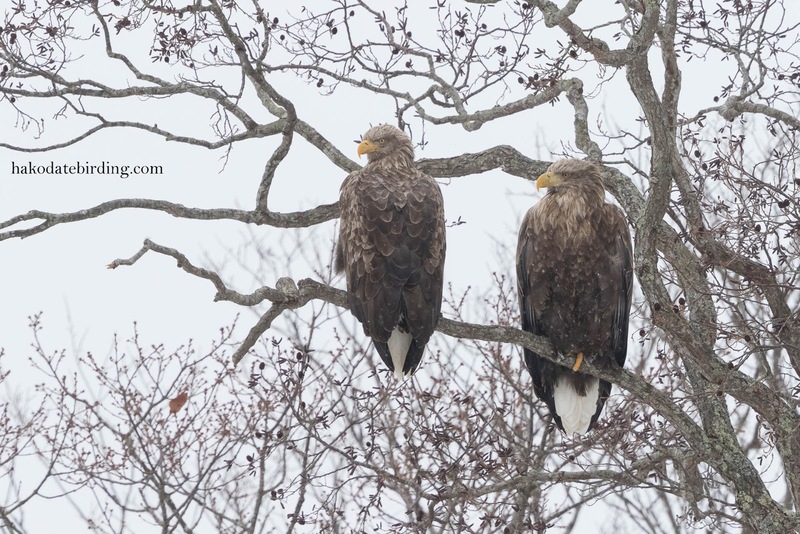 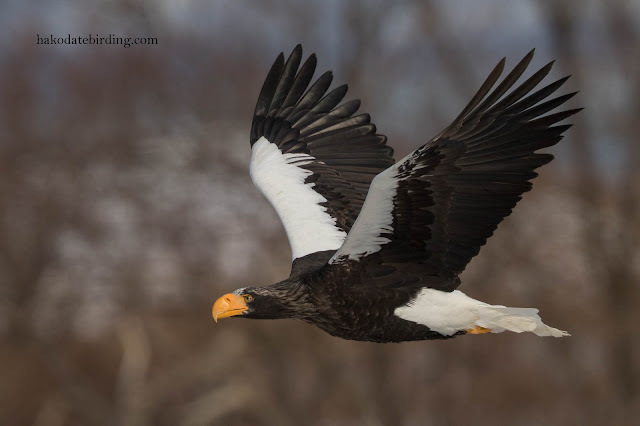 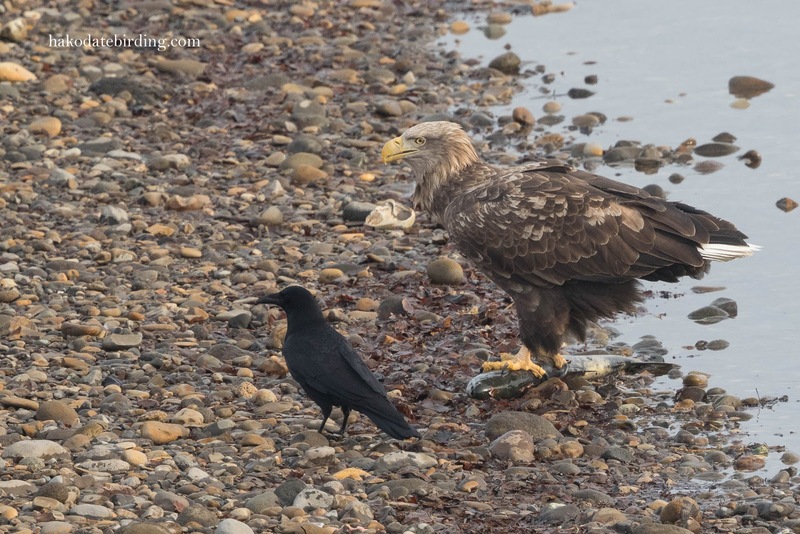 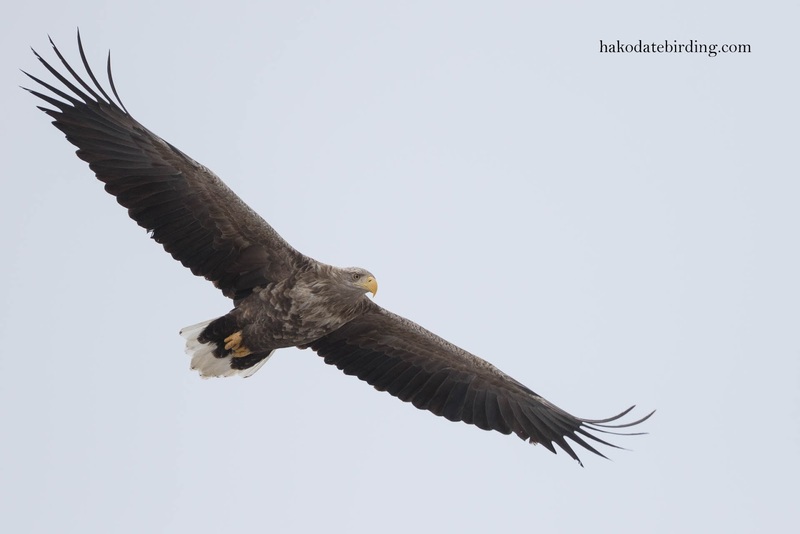 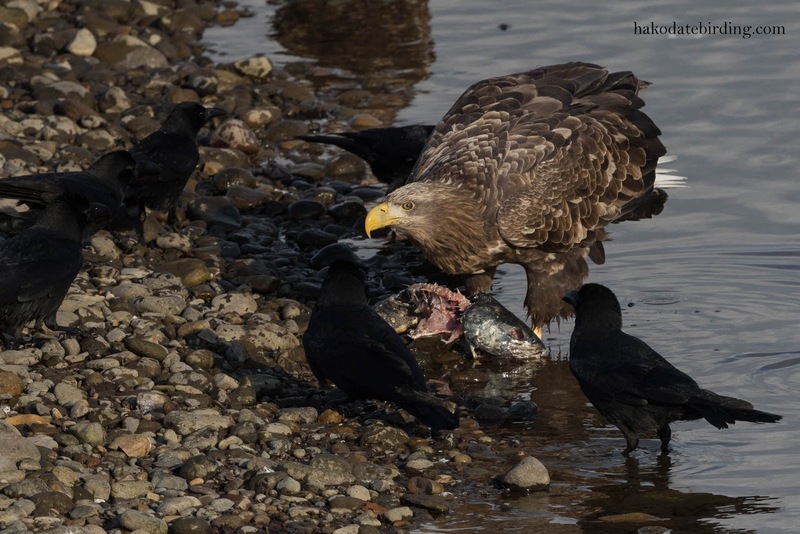 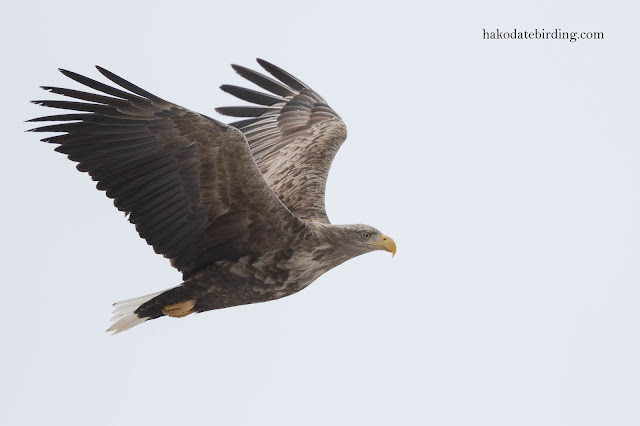 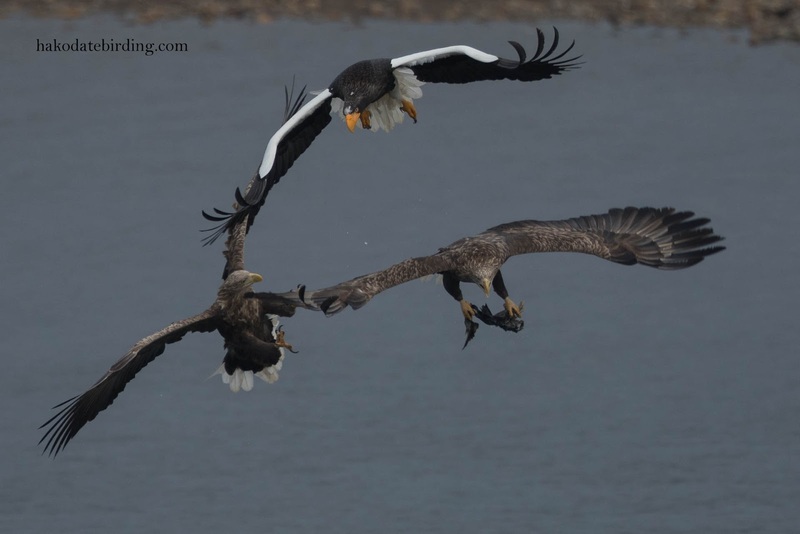 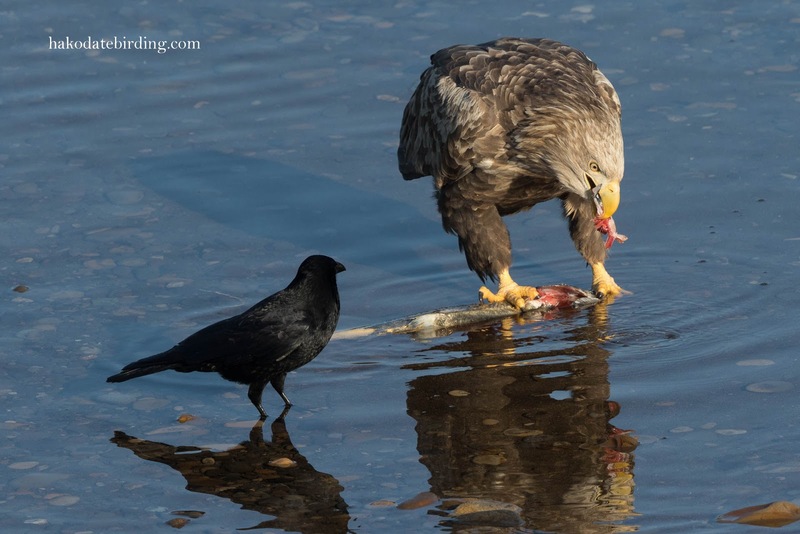 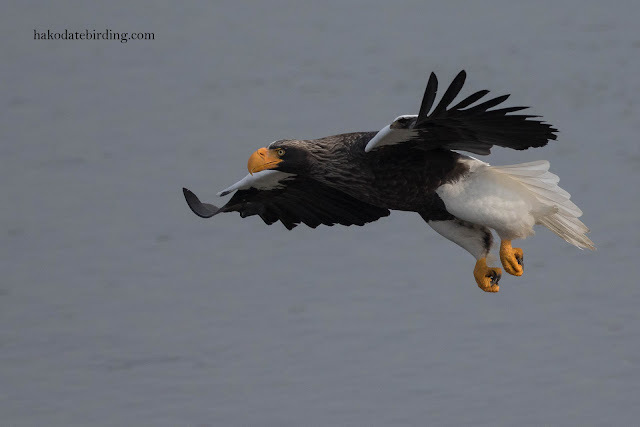 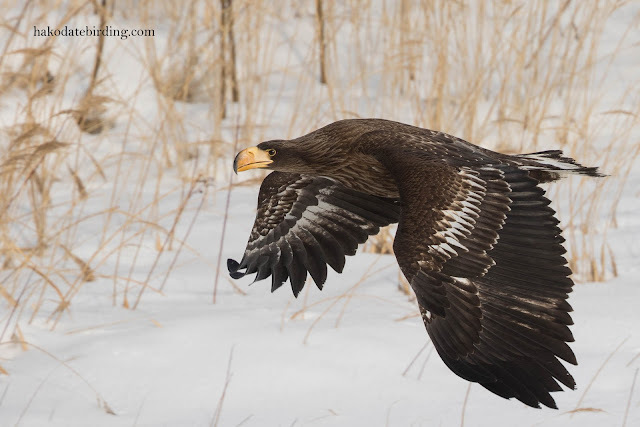 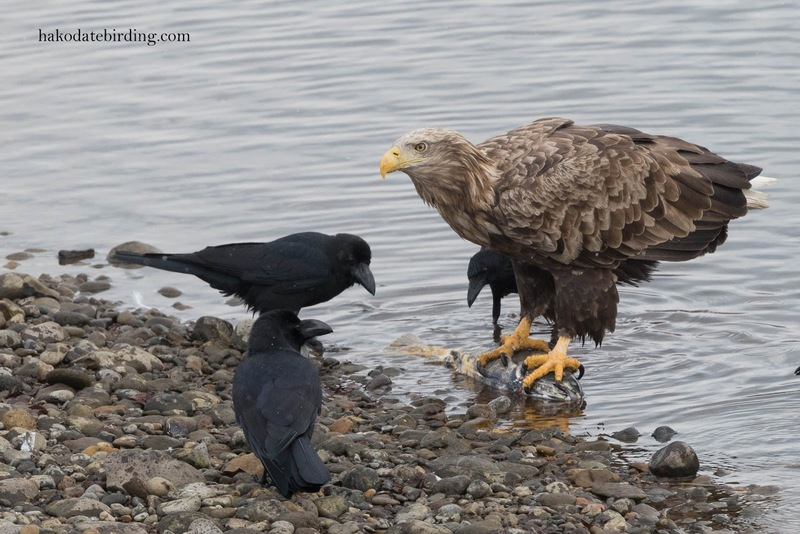 Stellers Sea Eagle (above) and White-tailed Eagle (below).